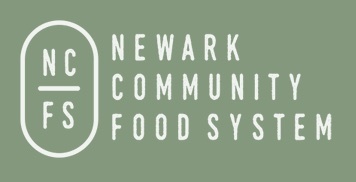 On Nov. 15, 2017 at the Newark Public Library, we were happy to lend support to the establishment of a new collective: The Newark Community Food System. Led by local urban agriculture experts, the focus is on how sustainable agriculture can benefit the community. They are partnering with Newark Science and Sustainability Inc. and Whole Cities Foundation. The capacity crowd included members of the public along with community partners like Whole Foods Newark, Elegant Bouquet Kitchen, Garden of Worker Bees, Traveling Mad Inc., Harvest Table Eatery, New Ark Farms (Ironbound Hard Cider), AeroFarms, Kids in Business, WSM Associates LLC and Wisdom Shapes Minds Community Development Corporation. at this gathering of new friends and supporters. led by Tobias A. Fox. Mecca Keyes – Newark native, a Leadership Newark fellow, Newark NAACP Economic Development Committee Chairperson. Madeline Boughton – a Newark native, founder of Mad Travel, Inc., and has an MA in Global Communication from The American University of Paris. Dr. Stephanie Aisha Steplight Johnson – Director of Student Development and Career Services at Essex County College, has a PhD in African American Studies from Temple University, on the Newark NAACP Executive Committee, and is President of the Newark Lions Club. Amarilys Olivo Mockabee – founder of Garden of Worker Bees, an organic community garden, provides nutrition, health and garden education, serves as a Volunteer Project Coordinator at Jersey Cares, has a BS in Business Management from Rutgers University. C. Christopher (“Chris”) Sanders – founding partner, and president and CEO of WSM Associates, LLC, and founder of Wisdom Shapes Minds Community Development Corp., a nonprofit that implements educational programs throughout the Newark community, has a Bachelor of Architecture from Hampton University. Fianah McMillan – native to Newark, is a Brand Strategist and Web Designer, a graduate of Science Park High School. Alexis Trujillo Graham – is a Farmer’s Market Coordinator with Ironbound Community Corporation, has a Bachelor’s in Communications and a Master’s in Public Policy from Monmouth University. Barbara G. Weiland – has 44 years of elementary and middle school teaching experience within Newark, envisioned and created KIDS IN BUSINESS® (KIB), organizes a garden through Newark’s Adopt-A-Lot program. Garfield Smith – Newark native, an entrepreneur and environmentalist at heart, solar distributor and real estate developer. "Farmer, gardener, journalist, photographer, educator or just a believer in the value of real food and sustainibility, we'd love to have you with us."